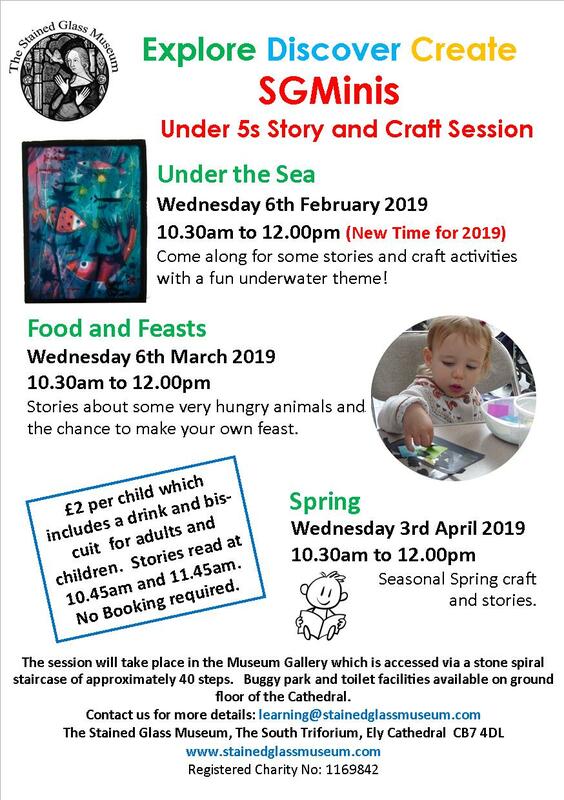 Come along for some stories and craft activities with a fun underwater theme! Stories about some very hungry animals and the chance to make your own feast. Seasonal Spring craft and stories. The session will take place in the Museum Gallery which is accessed via a stone spiral staircase of approximately 40 steps. Buggy park and toilet facilities available on ground floor of the Cathedral. children. Stories read at 10.45am and 11.45am. No Booking required.